People who have suffered spinal cord injuries are often susceptible to bladder infections, and those infections can cause kidney damage and even death. Research done at the University of California, Los Angeles may go a long way toward solving the problem. A team of scientists studied 10 paralyzed rats that were trained daily for six weeks with epidural stimulation of the spinal cord and five rats that were untrained and did not receive the stimulation. The team found that training and epidural stimulation enabled the rats to empty their bladders more fully and in a timelier manner. The study was published in October 2014 the online journal PLOS ONE. Nearly 1.3 million Americans have spinal cord injuries, and those with complete spinal cord injuries typically have two to six bladder infections per year. Edgerton said the advance could eventually treat or even cure one of their highest priority health concerns. “We’re not saying it will restore this part of their lives to normal, but we think it will lead to a significant improvement in quality of life,” he said. The researchers also found that after they filled a rat’s bladder with saline, and turned on an epidural electrical stimulator, the rat released urine within 90 seconds, said lead author Parag Gad, an assistant researcher in Edgerton’s laboratory. The research was funded by the National Institutes of Health’s National Institute of Biomedical Imaging and Bioengineering (grants R01EB007615 and R01NS062009) and the Christopher and Dana Reeve Foundation. Other co-authors were Dr. Daniel Lu, assistant professor of neurosurgery at the David Geffen School of Medicine at UCLA; researcher Roland Roy and project scientist Hui Zhong, both of Edgerton’s laboratory; and Yury Gerasimenko, professor and director of the laboratory of movement physiology at Russia’s Pavlov Institute in St. Petersburg and a researcher in Edgerton’s lab. 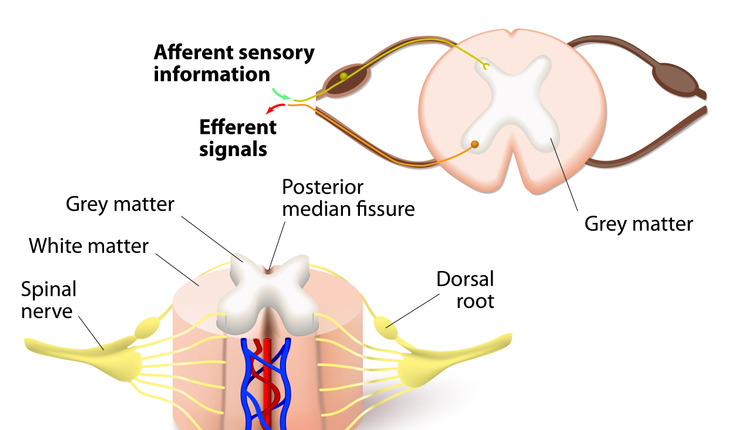 Edgerton believes there is a connection between the neural networks that control walking and bladder function, and is planning to investigate the connection. To research bladder control with human subjects, his team plans to place electrodes on the skin over a critical part of the spinal cord and evaluating their improvement. Edgerton and colleagues from the University of Louisville reported in the medical journal Brain in April a fundamentally new intervention strategy that enabled four young men who had been paralyzed for years to move their legs, hips, ankles and toes as a result of epidural electrical stimulation of the spinal cord, and were able to execute voluntary movements immediately following the implantation and activation of the stimulator. In that study, researchers used a stimulator to deliver a continuous electrical current to the participants’ lower spinal cords, mimicking signals the brain normally transmits to initiate movement. The electrical current was applied at varying frequencies and intensities to specific locations on the lumbosacral spinal cord, corresponding to the dense neural bundles that largely control the movement of the hips, knees, ankles and toes. Once the signal was triggered, the men’s spinal cords reengaged their neural networks to control and direct muscle movements. More information about epidural stimulation research is available through the Christopher and Dana Reeve Foundation (http://www.christopherreeve.org/site/c.ddJFKRNoFiG/b.9031137/k.F3D2/2014_Epidural_Stimulation_Center.htm).